Cape Breton Tourism Spotlight: The Lobster Roll-One Off The Most Sought After Food Items By Visitors To Cape Breton Island. The Lobster Roll-One Off The Most Sought After Food Items By Visitors To Cape Breton Island. Chop lobster meat into bite size pieces. In a small mixing bowl combine mayonnaise with lemon juice, celery and onion. Add to lobster and mix well. 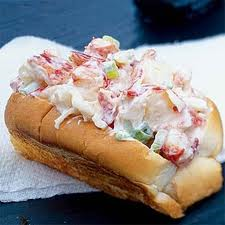 Spread the lobster salad on your favorite bread, roll or croissant Makes 4 to 6 servings.